Barnet Council is leading the way in London. Under the Leadership of Mike it has developed the most innovating and exciting website in London. I've put a few links to this so you can go straight there yourself. Check out the interesting and informative YouTube videos and the Fantastic pictures on the Flickr Site. 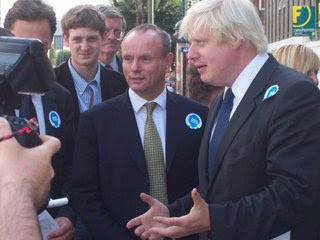 See why people such as Boris are flocking to Barnet to see how a modern Council in the 21st Century does things. It makes me proud to live in Barnet.